What athletes have experienced under my leadership and have to say about their journey. Terry has been my coach since 2018. He was able to help me progress and worked with me to get to Worlds 70.3 this year in South Africa. I broke many barriers and hit some major milestones as a triathlete in 2018 because of him. Although we’re not in the same area, he made me feel as if he were by my side coaching. He is very involved in my workouts and his communication is way above par. He takes into account my busy life and we work together to reach new goals. He is a great coach, teacher, motivator, encourager, and now also my friend. I would highly recommend him as a coach! "Helped me reach my goal"
I won a few 6 month coaching package with Terry and after 6 months decided to extend my time with Terry. 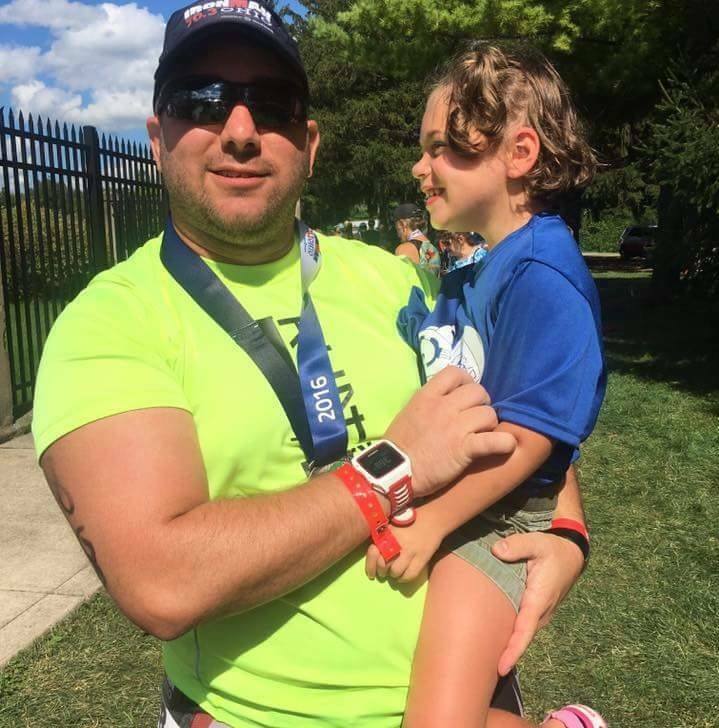 Coach Terry helped me reach my goal of completing my first full IRONMAN! He also helped me complete 2 70.3s, 2 sprints, and 1 olympics and my first Marathon. Terry was always receptive you concerns, questions, and training thoughts. He was accessible daily and genuinely enjoyed helping his athletes achieve their full potential and getting to know what makes then tick and what makes them push. I would recommend Coach Terry for anyone looking for a triathlon coach for shorter distances to long distances. I won a 6 month coaching package from Terry, which he gave away on Team Red, White, and Blue (Team RWB). Thanks for supporting vets, Terry! I felt I had reached a plateau in my training, so I wanted a coach. But finding a good, responsive coach is hard, especially if you live in different towns. Luckily enough, I won Terry's coaching package and couldn't have been luckier. My Garmin is set up to connect to my wifi, so as soon as I got home from a ride or run it would dump the data into Garmin Connect and Training Peaks. Most of the time I wouldn't even have a chance to grab water or cool down and he'd text or call and ask how the workout was and how I felt; whether it was too easy or too hard. Or he'd look at the data and see where I walked or sandbagged it and ask what's up. Same thing for swims once I downloaded the data. He'd give a weeks worth or workouts at a time, or more if you needed, and adjusted each week based on your goals and progression. If you had something come up or need to modify a workout he'd change your workouts in Training Peaks to work with your life. At the same time though, if you missed a workout he'd hold you accountable too, which is what you want and what you're paying for. I had a 70.3 four months after Terry started as my coach, and got a 22 minute PR at the same race this year. No joke. I liked having Terry as my coach so much that I stayed on as one of his athletes after the free coaching package as a paid athlete. In fact, my brother and sister are also triathletes and I had such a good experience with Terry that they came on as well. The three of us, along with my wife, ran Boulder 70.3 and Terry and his wife came out from Texas for the race. It was great having my coach there pre-race, in transition, and on the course. I almost felt like a pro! Terry checked in on me just about every single day, even if I wasn't training. He's called bike shops and made sure it was a good place for maintenance or bike fits so he was comfortable with you going there. If you had questions about things he'd have the answer or find it. What I really liked is his continuing education on all things triathlon so he had the knowledge on things I didn't care to learn, but know I needed, like HRM, cadence, power, nutrition, etc. I like that he knows that stuff and just tells me what to do so I don't have to think about it. He gets to know his athletes on a personal level, and checks in on your health, nutrition, training volume and happiness. You get so much value from Terry for what you pay that you wouldn't get elsewhere. I would definitely recommend Terry as a triathlon coach to anyone looking for a great coach for great value for great times. Thanks for all you've done, Terry! "For the seasoned IRONMAN and even Beginning Sprint Triathlete"
I would recommend Coach Terry for the seasoned IRONMAN and even the beginning sprint triathlete. Best coach ever! I was a little apprehensive about starting with a coach because I am not the IDEAL Athlete... But Coach Terry saw something in me that I didn't even know was there. He would push me past my limits, and do it in a way that wasn't demeaning to my poor athletic abilities. Coach Terry is always available for feedback and advice. He nuances every facet of the workout to custom fit into my lifestyle. With Coach Terry i was able to complete several Sprint Triathlons, 2 Olympic distance Triathlon, and a 70.3. I was also able to knock almost 15 min off my Half Marathon PR!! Couldn't have done it alone! Hands down the best coach on the planet. Not only have I made great strides in my training since beginning with him, but he is always looking after my best interests and is always available to talk when I need him. He will challenge you and make you mentally and physically tougher than you thought possible. Coach T is an excellent coach and I feel very lucky to be one of his athletes. "Established workouts and then would follow up"
I did a lot of road biking in high school and college and decided in my middle age it was time to start biking again. At my first group ride I was listening to a girl talk about her first triathlon. I thought I can do that. When I started training on my own, I had no idea what I had gotten into. I met Terry at a swimming pool one morning and kept telling me that coaching would make a world of difference. When I was looking at bike upgrades such as expensive wheels, many opinions were spending the money on coaching, you will get more from it. When I decided I wanted to try long course, this is much more of a chess game than I ever could have imagined. I contacted Terry at that point and went into contract with him. He was able to watch my metrics through the computer. He established workouts and then would follow up after he saw a completed workout to find out how I was feeling and would adjust the follow up workouts based on my inputs. He also worked with hydration and nutrition, which is a huge part of long course triathlon. I learned a lot through the process and having a coach made all the difference in the world. He took a true interest in how I was doing and even expressed his disappointment when my nutrition the night before was cheeseburger, fries washed down with Coke and Jack (seriously). I started my process in January with him and completed a half Iron Man in April with a one week set back in March that he was able to work through. If you are wanting to go faster or complete a long course triathlon, Terry can help you obtain the results you want! !